The prominence of social media has significantly altered adoption communication. More broadly, it has significantly altered communication as a whole. People share more than they ever have about their lives and know more than they ever have about others. Connection is immediate and everywhere — but what does this mean in an adoption? Navigating social media in adoption can be tricky. Like any other form of communication, this is complex, nuanced and personal. If you’re a biological mother, you may be wondering if it is okay to find and follow the adoptive family on Instagram. If you’re an adoptive family, you might be trying to figure out how to handle the biological parents wanting to share pictures of the baby after placement. These are just two examples of many scenarios that could send you searching for information about social media and adoption. This is a new concern, which means that no one can claim to be an expert on the subject. It hasn’t been happening for long enough to develop expertise. 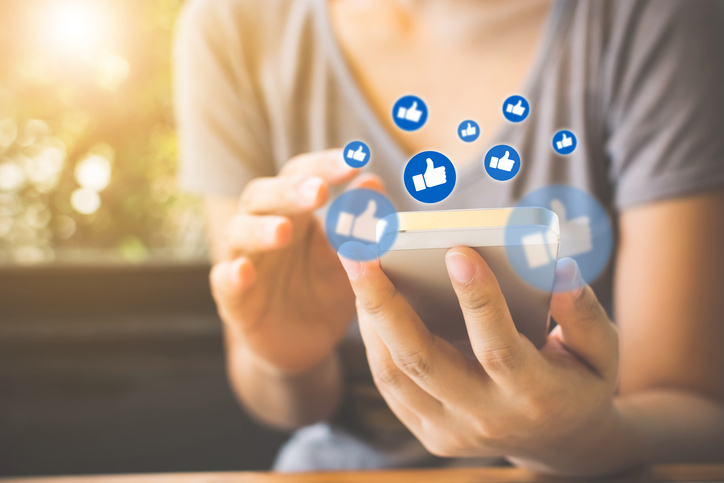 The spread of social media use has far outpaced the study of it, which means best practices and professional guidelines are still being developed as adoption specialists learn more about what works and what doesn’t. With all that being said, there are some general guidelines the specialists at American Adoptions have found to be helpful. You may find that these are not directly applicable to your specific situation, and that’s okay. Hopefully you can find some sense of clarity as you try to navigate these confusing realities. If you would like more specific guidance, you can always call 1-800-ADOPTION to speak with an adoption specialist. Every person is unique, which means every adoption is unique. The way you choose to communicate is ultimately your decision. You know best what will work and what won’t. As you figure out what that means for you, these general tips and guidelines should be helpful. Do you want to have contact with biological parents or adoptive parents in an adoption? Regardless of which side of the adoption you are on, this is something you need to consider up front. Given a first name, location and tiny bit of detective work, most people can find anyone on a social media network. If you don’t want this, make sure to set your privacy settings accordingly. If, however, you are open to using social media as a form of communication in adoption, it’s best to wait until after placement occurs to begin this connection. This is actually a policy for anyone working with American Adoptions. Our specialists have found it is best for everyone involved to wait until after placement to connect on social media. If there is a mutual agreement to connect on Facebook or Instagram following placement, the details of that online relationship will depend on the circumstances of each unique adoption process. As a general rule, think long and hard before connecting or posting. Social media can be a great tool for communication, but it can also be a messy medium for adoption communication. Millions of people use Facebook’s Messenger app as their primary means of communication. The same is true of Snapchat, WhatsApp and other social networks. But, although they have fallen out of popularity, there are in fact other ways to talk to people besides social media. For the more than 90 percent of domestic infant adoptions that are at least semi-open, these other forms of post-placement contact can be better than social media. Many adoptive families will create a private blog to share updates, pictures and videos with the birth parents. This allows for a full range of creative options, just like Facebook would, but with much clearer lines of communication. Another option families have used is setting up a private photo drive. Using sites like Shutterfly or Snapfish, you can create online photo albums and share the link with the birth parents. You can also employ the good ‘ole fashioned way of doing things — sending letters and photos in the mail. Some adoptive families will create photo books to send to the birth parents along with a letter giving updates on how the child is doing. These means of communication don’t offer the immediacy of a Facebook post or Instagram story, but that’s not necessarily a bad thing. They come with longer wait times and clearer boundaries, which can be exactly what semi-open adoption communication needs. The key to any successful open adoption communication is a clear plan. In the early stages of the adoption process, the prospective birth parents will create an adoption plan that includes preferences for open adoption. Once an adoptive family profile has been selected and that family has accepted the adoption opportunity, the details of that open adoption can be worked out with the help of an adoption specialist. Successfully using social media in an adoption starts here. There aren’t set boundaries in adoption that everyone uses. Each adoption plan will require something unique. Based on your situation, your adoption specialist can help craft these guidelines early on. Once a plan is agreed on, communication moving forward can abide by this agreement. Clear expectations are the key to successful adoption communication on social media, blogs or anywhere else. To talk more about this in your specific situation, contact your adoption specialist, or call 1-800-ADOPTION to speak to an adoption specialist free of charge.